It's a great time to be a software developer, as long as you are ready to rethink everything in light of web integration. Google has close G+ and as a consequence, the forum "Microsoft Access at Work" has been closed. Google should either only release products they are committed to support or at least spin them off to another company whey a product does not suit their business model. Starting a platform where third parties have a big time commitment and then dropping it does not build confidence in using Google products. Google has made changes and now this Blog is not available from an Iframe on Google Sites. Well Sites are still pretty awesome and free it always good! 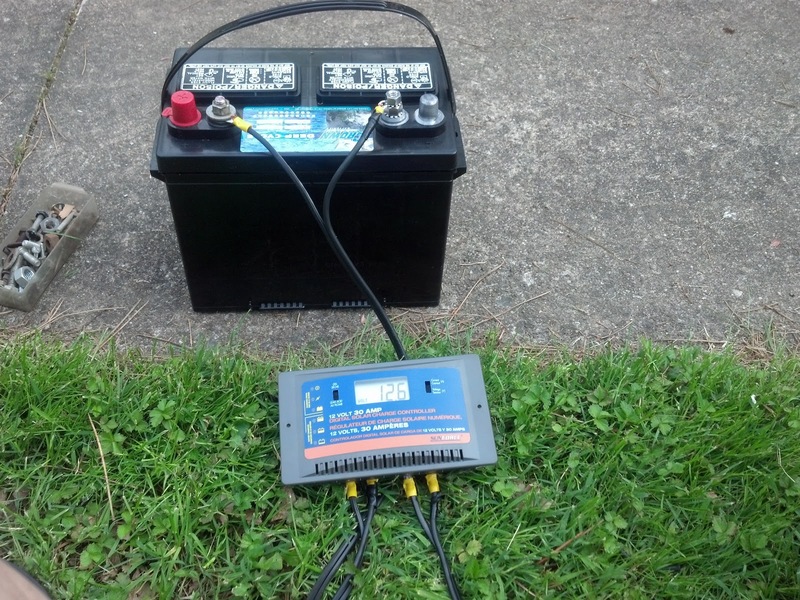 Crown battery in Twinsburg had a marine battery for $100 that should suit the purpose. I had been there once before but this time after following a detour on Highland road they were no longer in same location. Glad I had a my cell phone, a quick call to the headquarters and they were able to direct me to the new location a few doors down. 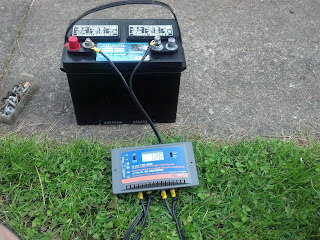 Unless you have a very small solar panel you can't just hot wire it in to the battery, you need a regulator. The regulator matches the output of the solar panel to the battery's requirements preventing overcharge and back-flow. The top switch is for gel cells or lead acid. I have the lead acid type which requires water to be added periodically. The other switch changes the display from voltage (shown) to amperage or power flow. EarthFest at the Berea fair grounds featured new energy technologies such as wind and solar power. Solar has been around for a while but I finally see a application that makes it work for me. For the past several years I have spent time camping in primitive camp grounds without electrical hookups. Cell phones, computers and tablet have become such an important part life that going without power for even a few days is difficult. Last year we brought a gas powered generator but running an engine is noisy and part of the camp experience is getting away from such distractions. While still not cheap the prices a have come down to the point where it was worthwhile to look into doing this. 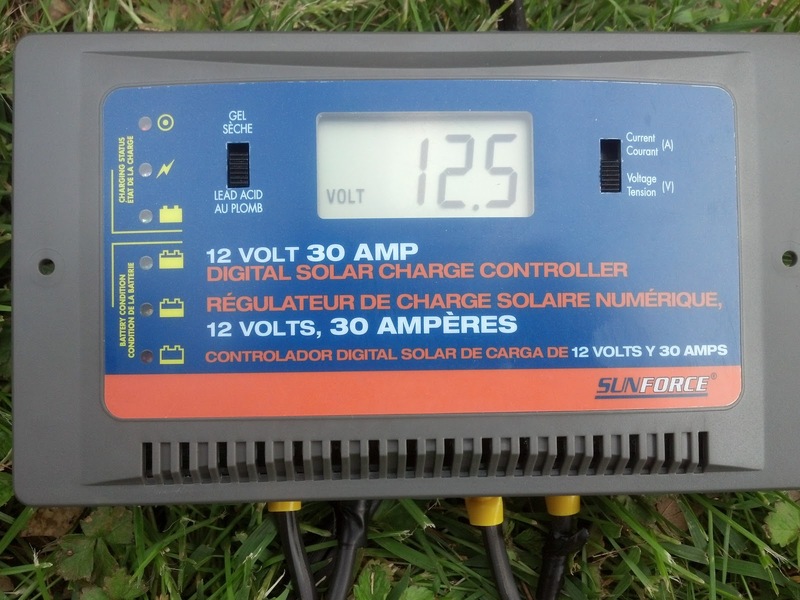 The Grape Solar panel I bought is rated at 235 watts in full sun. This should be enough power to charge all devices, power a computer and light the night with efficient led rope lights. The challenges to overcome have been cost, weight and portability. The panel itself is about 45 pounds. so too much plywood would make it a back breaker. So the box is made of 1x5 pine with some 1x2 slats on the back. Originally I was going to have plywood doors that open, but after framing they would add a lot of weight. When I was at Loews I saw some translucent blue PVC panels (think tin roof) that would be about the lightest way to protect the panel during transit. My guess is it only adds about 10 pounds. The wood working is done, so today is painting day. 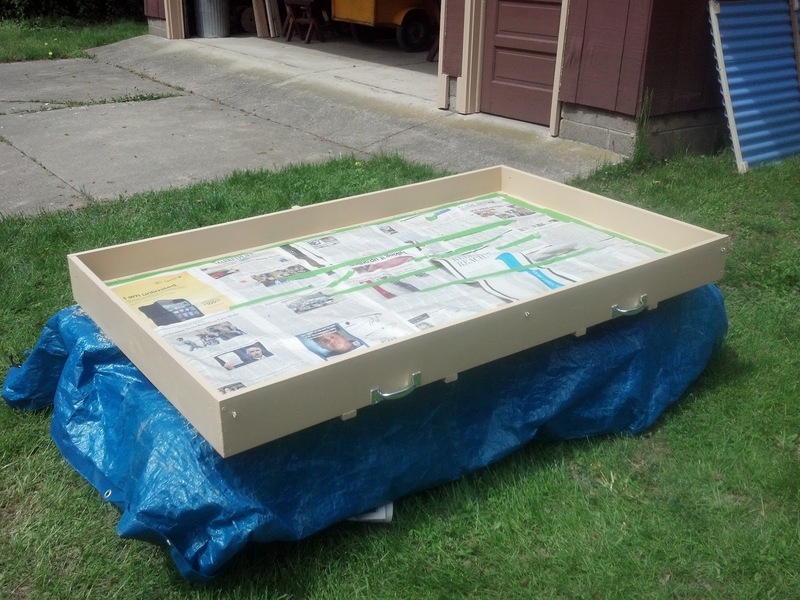 The box is bound to see some rain so this should help make it more water proof. Pics to follow. When an experienced users has to Google "Shutdown Windows 8" you know something has gone terribly wrong in the design department. Evernote did the right thing and just reset everyone's password. I remain a big fan! 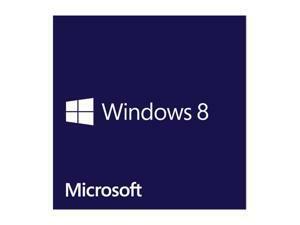 My web site: Quixor Flex Systems, Ltd.
Software developer using C#, VB.Net, VB 6, and Access.